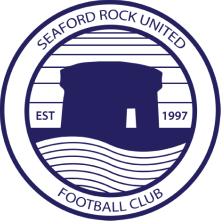 One of the most talented players to grace a Seaford jersey in the modern era, John combines a superb natural footballing ability with bravery, stamina and an indefatigable will to win. An all-Ireland winning centre half by trade, John has spent much of his career as a central midfielder and played some of his best football under Ronnie McLoughlin during the 2009/10 campaign, including an extraordinary display away against Dublin Bus to secure promotion. A major goal threat, particularly from set pieces, John is also a committee member.